Iced glass consists of three layers of glass laminated together. The inside layer of tempered glass is then broken or cracked creating the iced appearance. The outer layers of glass remain un”cracked” and smooth to the touch. 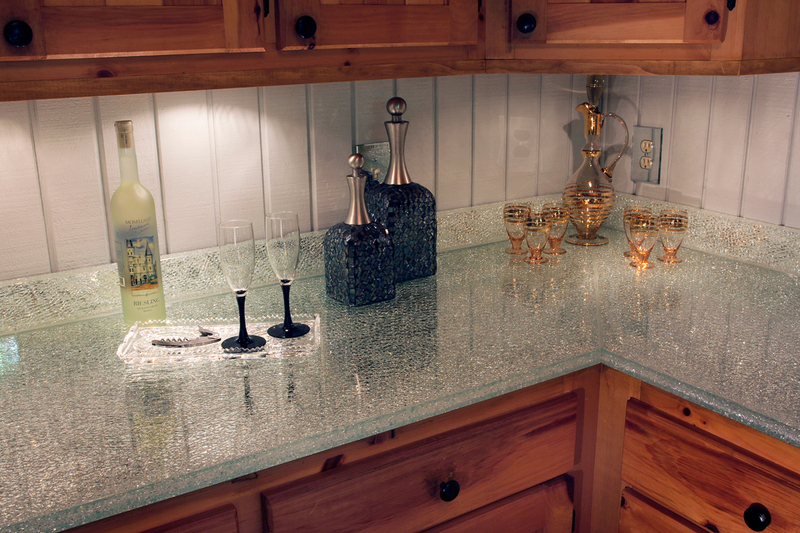 The edge of the glass can be polished and finished for table tops, shelves, countertops, or even backsplashes. The thickness of the glass is determined by the size of the finished piece.